I wish I could come up with a happy, positive post but right now I just don't have it in me. And even if I did, it wouldn't be appropriate. I just feel overwhelming sadness at the devastation Hurricane Katrina left behind. My favorite city in the US has been damaged to the point where I don't see how it can possibly recover, or return to its former glory. My husband and I fell in love with New Orleans about 10 years ago and have visited several times. We love the history, the culture, the architecture of the French Quarter, the way you can see every walk of life there, and just the general atmosphere. The city is just so alive and you can see bizarre shops and odd persons there that you would never see anywhere else. New Orleans has such great character, you know? I have such great memories of that city, and now it will never be the same. And then there are cities I've never been to such as Gulport and Biloxi that will probably never be the same either. It's horrific. Please take a moment and say a prayer or send good thoughts to the people of all the states in the Gulf that have been affected by Katrina. And then please consider donating to one of the following disaster relief agencies (per CNN). And what did I buy this past weekend? 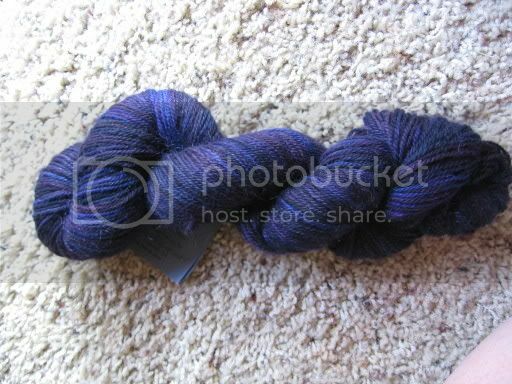 More sock yarn! The bottom picture is Mountain Colors Barefoot, and the color is Mountain Twilight. 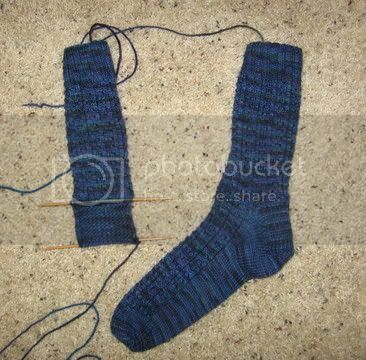 I thought the Larkspur color of the current socks above was beautiful until I saw this and I was immediately tempted to cast Larkspur aside and cast on with these beautiful purples. My camera doesn't do it justice. Trust me, the colors are stunning. 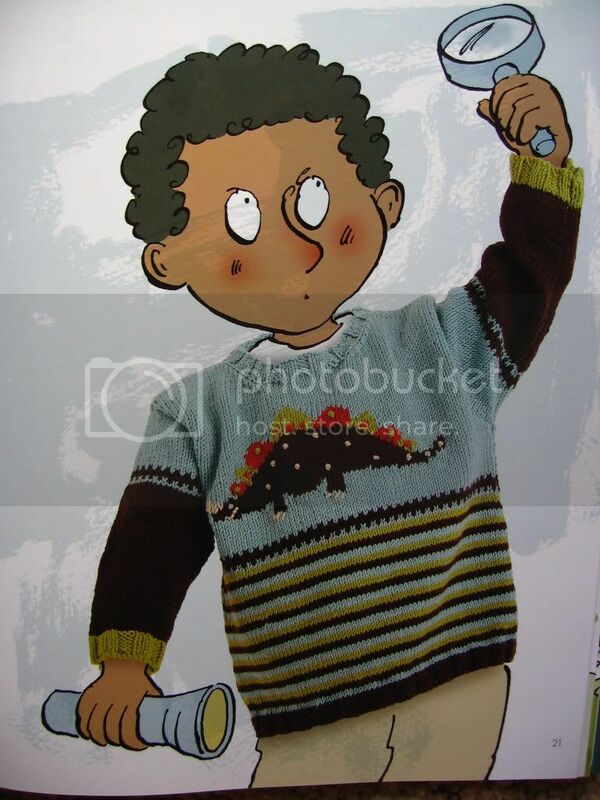 I plan on making one of those sweaters for the kiddo for Christmas, but I haven't decided which one yet. Aren't they adorable? And speaking of adorable, here's a picture to remind me of when we had dry, sunny weather. The really interesting thing to note is that ever since my husband contracted with a roofing company 2 weeks ago to have our roof completely redone, it has rained almost every day. We normally don't get this much rain until the State Fair opens in mid-September, but no - this year it came early. 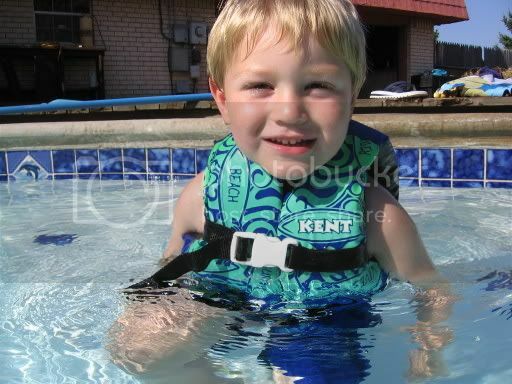 And since it has been raining, we haven't been able to swim either, which is very disappointing to a certain little person pictured above who now likes to jump in and paddle around the pool all by himself, thank you very much (with a life jacket on, of course). Somehow this is all my husband's fault. I got some good news on Friday. My husband called me and said, “I’ll take the boy off your hands on Saturday.” I said, “Shut UP! Seriously?” He usually teaches a martial arts class on Saturday mornings but they were going to go watch a grappling tournament instead, and he wanted to take the kiddo. Since KatyaR and I were already planning on going to Guthrie Saturday morning to check out the sale at SWAK, well, let’s just say that I was overjoyed. I love my son, but shopping with him? Not so much. It’s as if he becomes obsessed with making my life a living hell and no amount of redirection or threats or bribery in the form of food or toys or anything else sacred to children will change his mind. So as we opened the door and walked into SWAK, I turned to KatyaR and said, “Do you hear that? It’s QUIET.” We were able to shop in PEACE, and really take our time and look at everything and not have to worry about what he was getting into or how he was changing the noise level in the room. It was simply fantastic. And since we didn’t have to be back at any specific hour, we took our time and even visited two other yarn shops. It was a perfect day. And then the stores closed and we had to go home. The end. So a big thank you to my husband for giving me some time to myself this weekend, even though the boy was relatively well behaved (or so he said) at the grappling tournament (perhaps it was the testosterone-laden environment). I guess I was sort of hoping he would behave as he does when he’s out in public with me. Is that wrong? 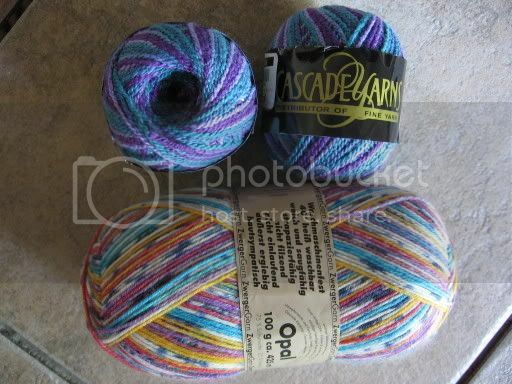 I’m making good progress on my Mountain Colors socks and I’ll try to post pictures in the next couple of days, as well as show the items I purchased this weekend. 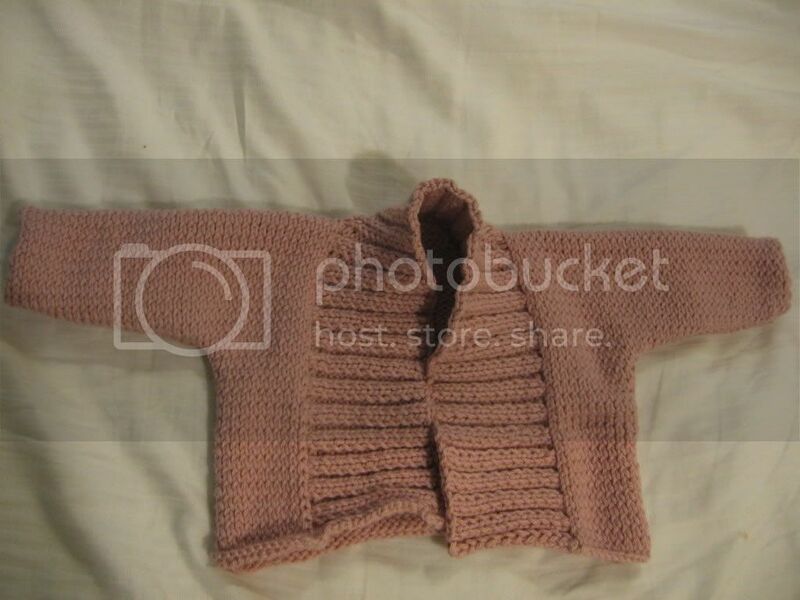 The pattern said I could have an optional fastening mechanism and I chose not to because a) I ran out of time to find something and b) I felt since it was a sweater for a newborn, it probably shouldn't have something that could actually stick the poor baby. I probably would have been safe using a diaper pin and hot gluing a flower to the head of it, but oh well. The mom-to-be seemed to be thrilled with it so that's all that really matters, right? Oh, and let us not forget that I actually had it done ON TIME. I know it was completed with an hour to spare, but hey, that still counts. Wow. What a week! I covered all week for my boss's vacationing assistant, which meant lots of opportunities to screw up royally. It all worked out though and, thankfully, the week is over. Lots has been going on around here. We have been painting our dining room and I have been shopping alone with a three year-old whose sole function in life is to make me want to get on Prozac. And really I can ignore his fake crying when we are shopping (he makes the noise, but no tears are actually falling, and he's looking around to see if anyone is noticing), but when he leans over the handle of the shopping cart and starts drooling on the floor, that's when I get a little crazy. He's acting like an idiot just to get a reaction from me, and I'm sorry but I don't think even Mother Theresa would have had enough patience to just let that crap go. So I did a lot of listening to the voices inside my head. 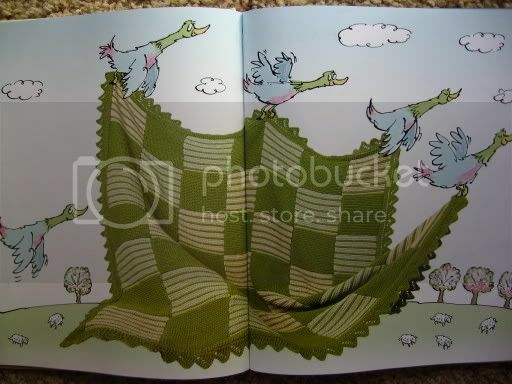 You know, the ones that all mothers have that tell us, "No, don't hit your child in front of all these witnesses. It's wrong. Take him home and do it in private." I'm kidding - of course I didn't hit him. But I did make him go to bed early, which to him is probably the equivalent of a beating. I have been knitting a lot lately, and in doing so have discovered the cure to the knitting blahs: Debbie Bliss Cashmerino yarn. It's just yummy. 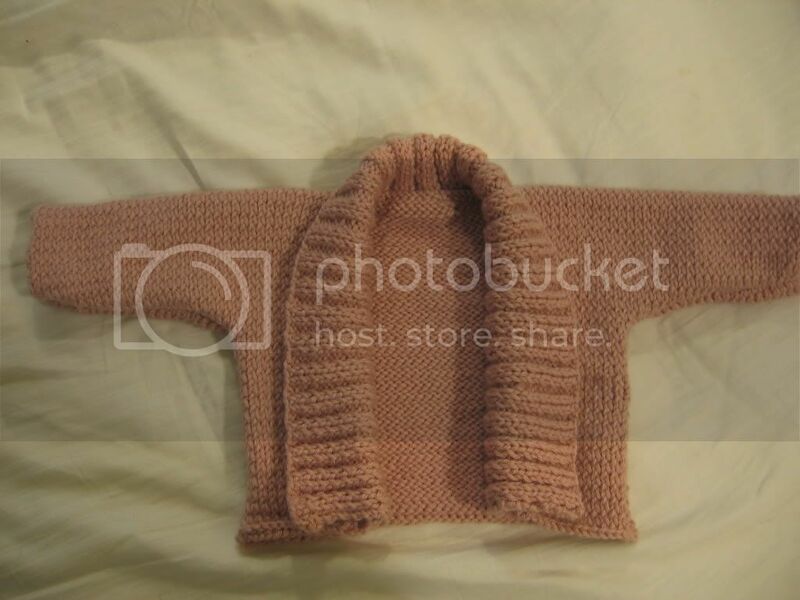 I know I can never afford enough to make myself a sweater, so it's just perfect for a baby sweater. 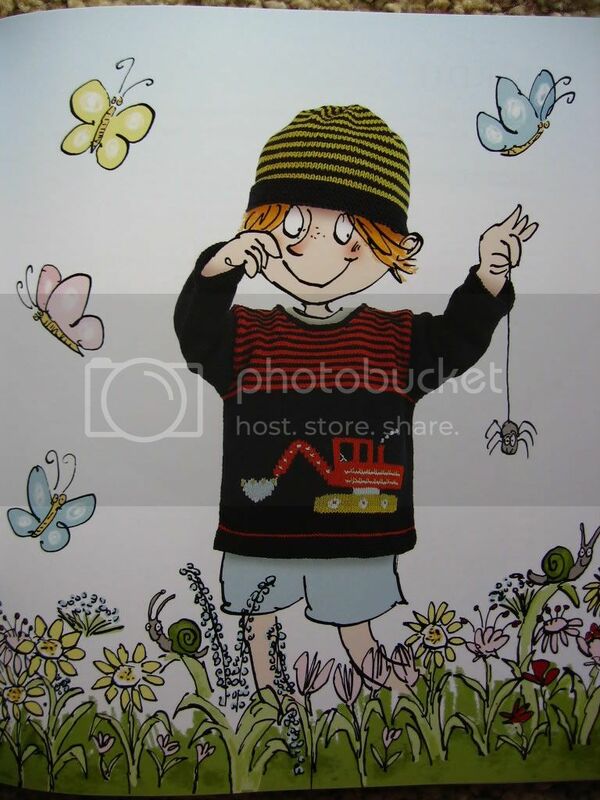 I am currently making the sweater on the cover of the new Debbie Bliss book, Special Knits. Will I finish in time for tomorrow's 2:00pm baby shower? Odds are against it, but you never know. And finally, I just want to say a huge thank you to the Keebler Elves for developing a peanut butter filled Fudge Shoppe cookie that equals my beloved Girl Scout Peanut Butter Patties. Don't you guys know I have no self control????? Damnit! Your now a 3 Star Center!" Would it be completely mean if I wrote an anonymous letter to the director? Something like this perhaps? First of all, CONGRADUATIONS is not a word. I think the word you were thinking of is "CONGRATULATIONS." Secondly, it's not "your," it's "you're." I know my grammar and spelling are far from perfect, but you can be sure that if my job was in the child development field, I'd at least make an effort to not look like an idiot. I would also like to say a personal THANK YOU to the City of Oklahoma City employee who picked up my garbage that was neatly sitting by the curb this morning and dumped half of it in the street and left it for me today. I realize that being a garbage man is a thankless job and you sacrifice and give to the good people of this city for nothing in return. You are an unsung hero. You're also a complete JACKASS, but an unsung hero nonetheless.